I was just getting ready to get in bed and read. I thought I would check "blogland" one more time. Yipee...a new post by you! Love, love the heart shaped coaster. The soft blue and red are wonderful together. And, so proud that you held out for your purchase until you could save $8.00! Precious little colorful flowers. Work sure does interfer with your creative time. But, it is so nice that you like your job. What a beautiful coaster! That's got to make you smile! Your flowers are very cute and well done waiting till the voucher came into effect. Love the flowers! And the coaster is darling! 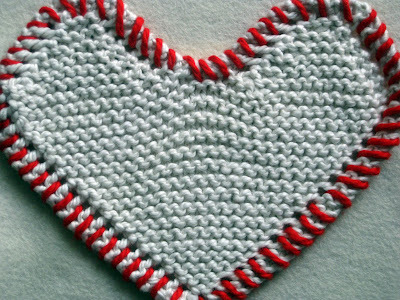 That heart is adorable - refreshingly simple and sweet! Girl, in my eyes you make LOTS of complex things:) Now those little flowers are just too cut! I will have to check it out at Michael's. Have a blessed week my friend! HUGS! Love your darling little heart coaster! And your flowers are so sweet and fun. 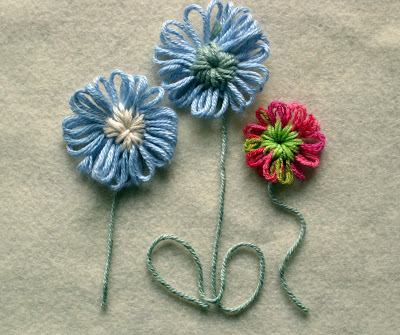 I've never heard of the Hana Ami flower loom, but after reading this post, now I have to have one! Off to hunt around for a coupon . . . 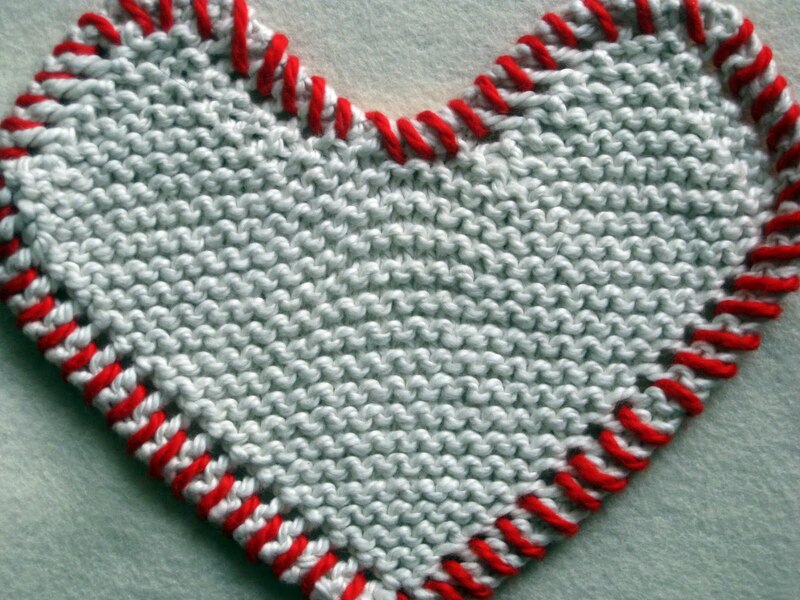 Very nice heart piece...and I bet you could knit some pretty flowers. I "hear" you about the busy...each day flys by! I'm excited to see what you'll do about the mad tea party, it sounds like its going to be a fun time. I really like your banner. Have I ever told you that? I had an amazing time at your Tea party. I feel honored that you invited me.I hope that you will visit me. HA! The little knit me sign on the yarn made me giggle out loud!!! Bravo! A lovely flowers and your coaster is charming. Great art work and it's looking beautiful.